Eukaryotic cells have evolved a number of mechanisms to respond to environmental stress. These stress responses are tempered by growth factors and other signals from surrounding cells in multicellular organisms. Our research programme involves the mechanisms whereby these cellular signals are regulate mammalian cells. Phosphoinositide 3-kinases (PI3Ks) modify lipid membranes and the modified phospholipids produced by the enzymes serve as second messengers and sorting signals, and they are important for cell response to environmental cues. PI3Ks are part of a larger family of kinases that also include the PI3K-related protein kinases (PIKKs). We study the structures, dynamics and functions of PIKKs and related pathways in cellular signalling, sorting and nutrition. Our work has included almost all of the members of the PI3K family: class I PI3Ks activated by receptor tyrosine kinase and GPCRS, the primordial class III PI3K complex present in all eukaryotes, the golgi-associated PI4K and the PIKK known as target of rapamycin (TOR). 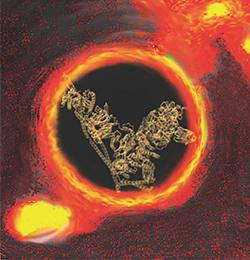 Each of these enzymes is a regulatory nexus, and our work produces variants in which specific regulatory inputs of the large enzyme complexes are ablated without affecting other activities. These modified complexes provide tools to decipher cellular regulation in ways that would not be possible with other approaches. We use X-ray crystallography, electron cryo-microscopy (cryo-EM) and hydrogen-deuterium exchange mass spectrometry (HDX-MS) to marry structures with dynamics. In collaboration with our pharmaceutical partners, we are seeking to develop HDX-MS approaches to give better insight into conformational dynamics that could result in new therapeutic strategies. On-going efforts in the group concern the structural and dynamic basis of regulation of oncogenic PI3Ks, autophagic PI3K complexes, integration of amino acid and growth factor sensing in the PI3K pathway, regulation of ribosomes in response to amino acid starvation and DNA damage repair. Tor forms a dimer through an N-terminal helical solenoid with a complex topology. Structures of PI4KIIIβ complexes show simultaneous recruitment of Rab11 and its effectors. 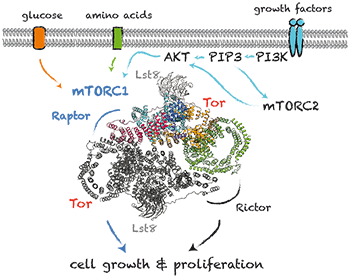 Molecular determinants of PI3Kγ-mediated activation downstream of G-protein-coupled receptors (GPCRs). Proc Natl Acad Sci USA 110: 18862-18867. Phosphoinositide 3-kinase δ gene mutation predisposes to respiratory infection and airway damage. Oncogenic mutations mimic and enhance dynamic events in the natural activation of phosphoinositide 3-kinase p110α (PIK3CA). Proc. Natl. Acad. Sci. USA 109: (38):15259-64. 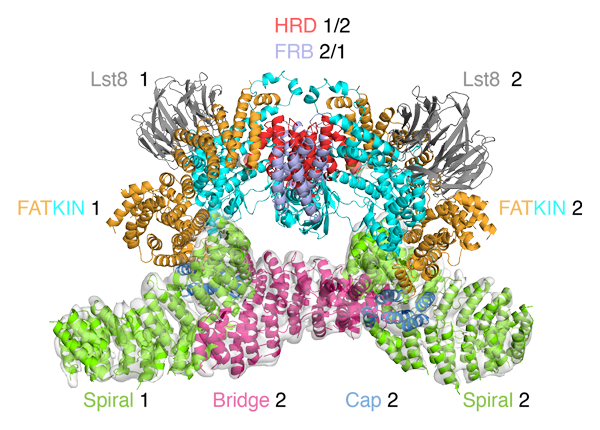 Structure of lipid kinase p110β/p85 elucidates a novel SH2-domain mediated inhibitory mechanism. 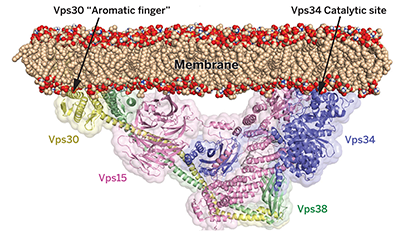 Shaping development of autophagy inhibitors with the structure of the lipid kinase Vps34.